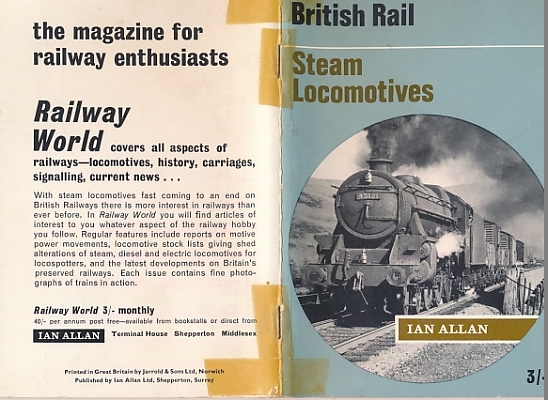 Barter Books : Allan, Ian : British Railways Steam Locomotives. ABC. 150 x 100 mm (6 x 4 inches) - 64pp. G: in good condition without dust jacket as issued. Tape marks to cover.